Bradenton, FL - Big Bucks Bracket Racing returns to Florida this weekend with the Scott Weney Fun In The Sun Bracket Race. 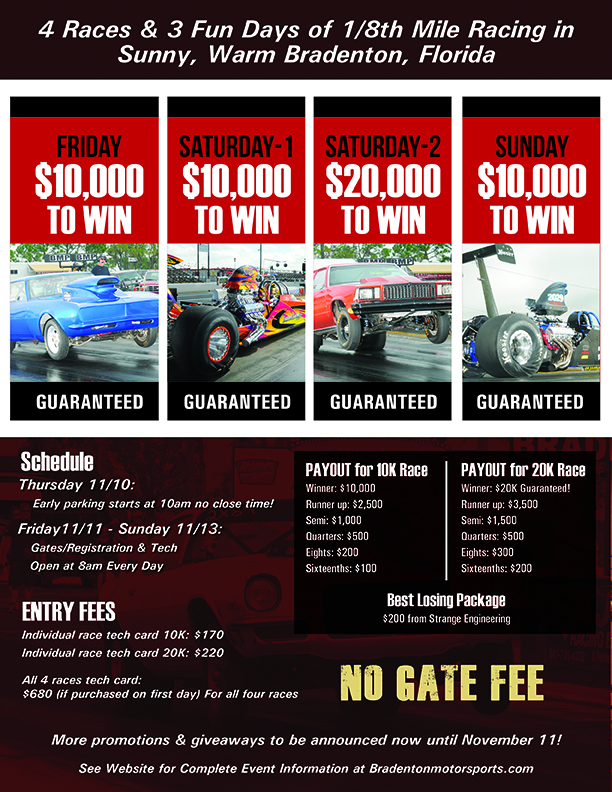 3) $10,000 to Win Races along with a "Main Event" $20,000 race on Saturday. 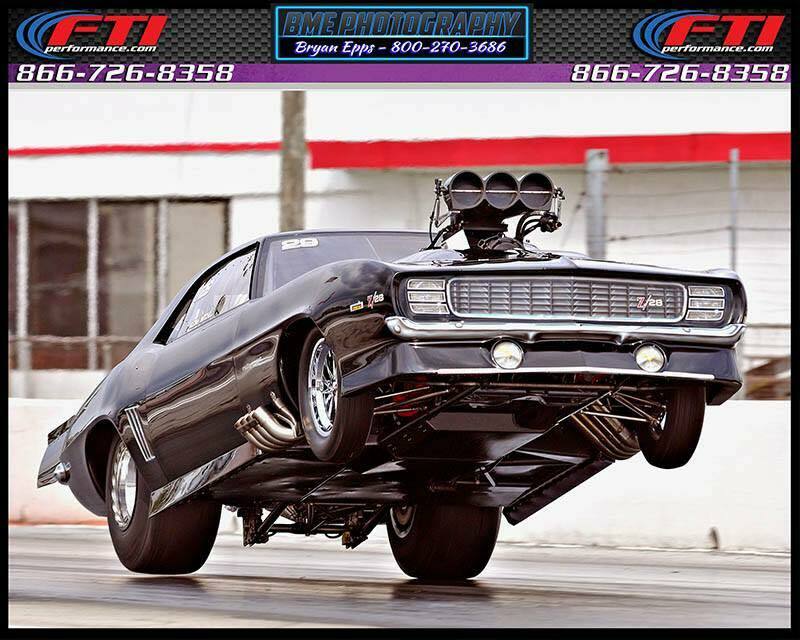 CLICK HERE for Race Flyer! 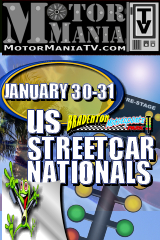 Bradenton, FL - Heads Up Drag Racing Action kicks off from Bradenton Motorsports Park and the U.S. Street Nationals this weekend. Coverage begins with Test-N-Tune Friday and runs all weekend long. CLICK HERE for Live Action! 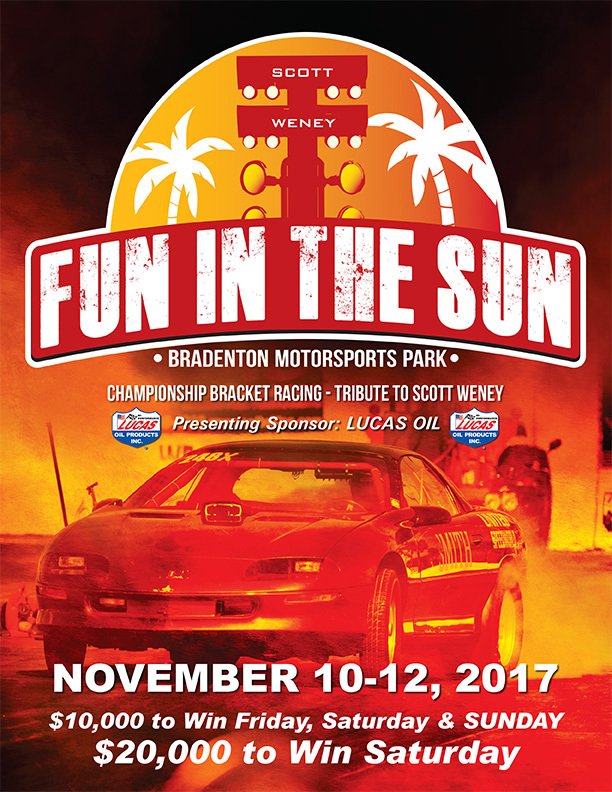 Bradenton, FL - This week racers from all over the country will descend on Bradenton Motorsports Park in Florida for the third running of the Fun In The Sun Bracket Race. With four separate races paying as much as $20,000 to the winner on Saturday, with $10,000 up for grabs by the winner in each of the three remaining races, it’ll be an exciting time for all attendees. 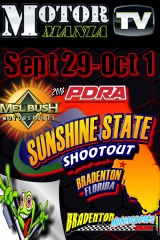 Bradenton, FL - The Nation's fastest racers take to the race track in Bradenton, Florida for the PDRA Sunshine State Shootout this weekend. 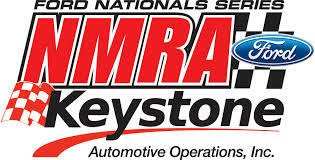 Watch all weekend long and enjoy the Wild Racing Action the PDRA brings. CLICK HERE for Video Coverage. 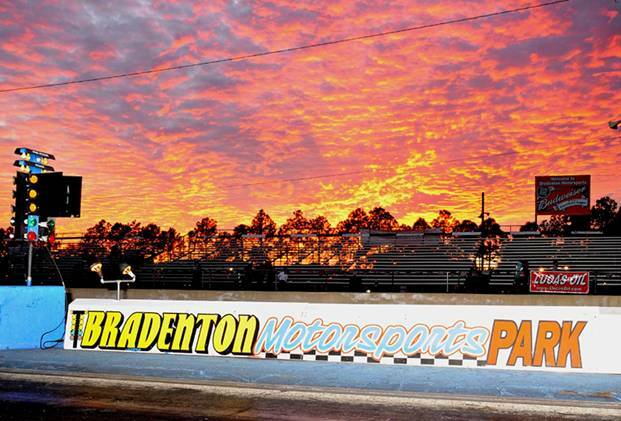 Norwalk, OH - Bradenton, a former IHRA national event facility in the late 90s, is an extremely popular racetrack in the southeast that draws thousands of spectators and racers with special events and big races held throughout the year. 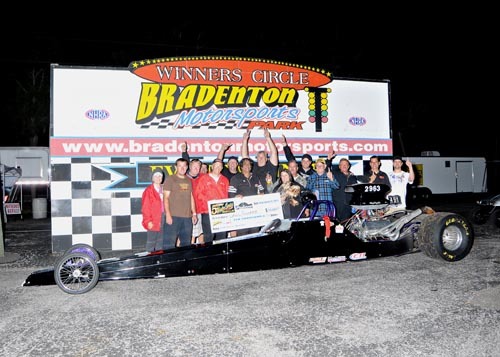 Bradenton, FL - David Guerra started the weekend off by winning the first two $10,000 races which resulted in an overall 5 Day Championship also. Disco Dean Karns from Ohio won day 3. Bradenton's own Jason Folk won day 4 and Lester Adkins from Kentucky won day 5.